The Thomas McKenna family is one of a number of unrelated families that were present in Camden for roughly 100 years after the end of the Civil War. This particular page will focus on the families of Thomas McKenna and his brother, John F. McKenna, who were the sons of Civil War veteran John McKenna. Thomas McKenna was in the saloon business in Camden in the 1880s and 1900s. 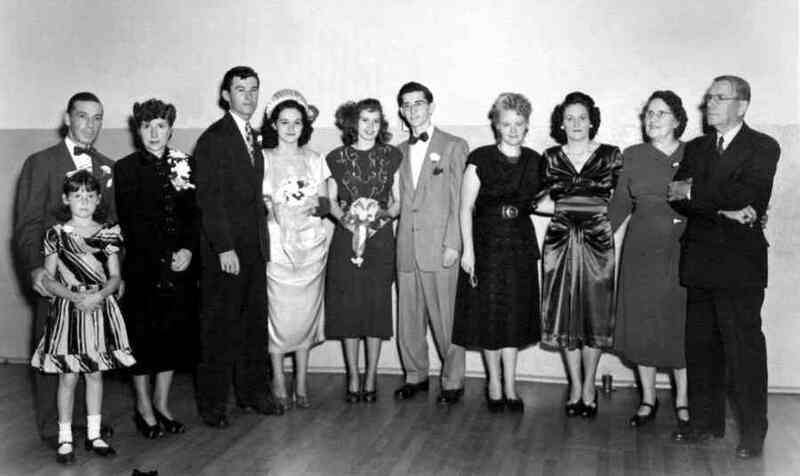 This family is connected by marriage to several Camden families including the Engel family, the Roles Family, the Griffee family, and the Milton Kelly family. In later years there were two other John McKenna families in Camden, unrelated to this family and to each other, who also were in the liquor trade, and were somewhat well known to one degree or another. John McKenna appears to have come to Camden after the Civil War. There are no McKennas listed in the 1860 Census south of Burlington County, and the one family that was in Burlington County did not have a family member named John. What is known about John McKenna is that he was born in Pennsylvania around 1819, and that his father's name was James. By 1857 he had married, and that year she gave birth to a son, Thomas, and another son, Daniel followed in less than two year's time. Both sons were born somewhere in New Jersey. 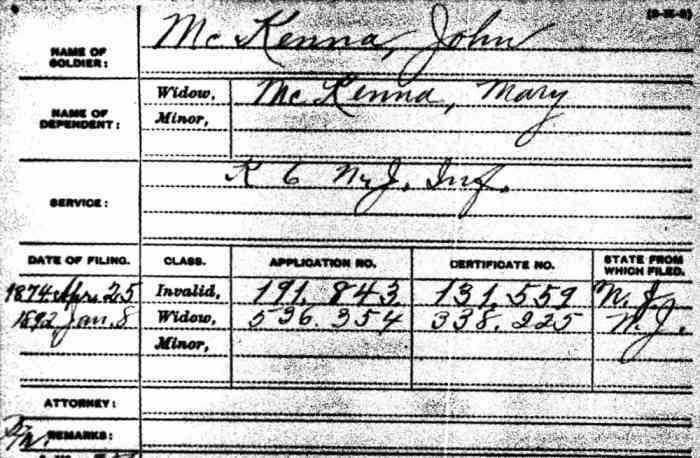 John McKenna served as a member of Company K, 6th New Jersey Volunteer Infantry (also called the "6th New Jersey Volunteers"), enlisting as a Private on August 9, 1861 and mustering out as a Corporal in February 12, 1864. The 6th New Jersey Volunteer Infantry was recruited in the counties of Burlington, Camden, Mercer, Hudson and Hunterdon, and was mustered into Federal service in August 1861. John McKenna is likely to have come from one of the three northern counties, and like many others, have come to Camden after leaving the military to take advantage of the economic opportunities there. It is unclear as of this writing where John McKenna and family lived after the Civil War. Twins Mary and John F. McKenna were born in June of 1869. John McKenna first appears in Camden City Directories in 1870, residing at "117 Firing's Alley" in 1870 and on "Furon's Court below 2nd Street" in 1872. The Directories are undoubtedly referring to Fiering's Court, which by 1885 no longer appeared on Sanborn maps for Camden. Fiering's Court was a short street that lay south of Stevens Street and west of Second Street. The Camden Tool and Tube works is shown in 1885 standing on the north side of what had had been Fiering's Court. No homes or buildings then are shown to have been standing on the north side. John McKenna filed for his Civil War invalid's pension on April 25, 1874. From 1878 through 1885 the McKenna family is listed in Directories at 708 South 2nd Street. John McKenna worked as a paver. The 1880 Census also has them at that address, the family consisting of John and Mary McKenna, sons Thomas, 22, Daniel, 21, John, 11; and daughter Mary, 11. Thomas had gone to work at Camden Tool and Tube Works, while Daniel worked as a laborer. The twins were attending school. The older McKenna sons worked at different jobs through the early to mid-1880s, Daniel primarily a blacksmith. Thomas McKenna worked a number of occupations including two years as a member of the Camden Fire Department, serving as as an extra man with Engine Company 1 beginning April 5, 1882. He replaced Charles Sawyer and was replaced in turn by by Frank Webster. Around 1887 Mary A. McKenna married Ulysses G. Lanning, who worked as a painter. Six children were born of this marriage, four of whose names are known. 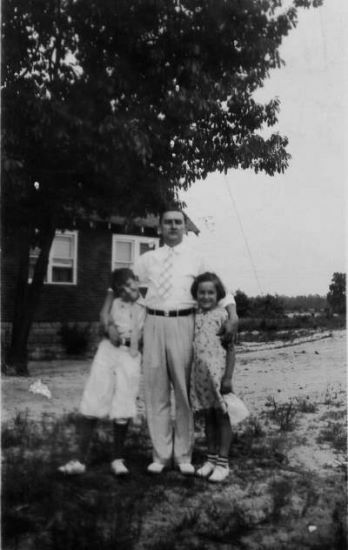 Thomas W. was born December 19, 1889; twins John Joseph and Mary A. in June of of 1890, and Ulysses G. Jr., on July 15, 1893. By the time the 1897 City Directory was published, Mary McKenna Lanning was a widow, and tragically, by the spring of 1900 only one of her children, daughter Mary was still alive. Thomas McKenna operated the saloon at 33 North Front Street as late as 1897. He lived above the bar as late as 1893. 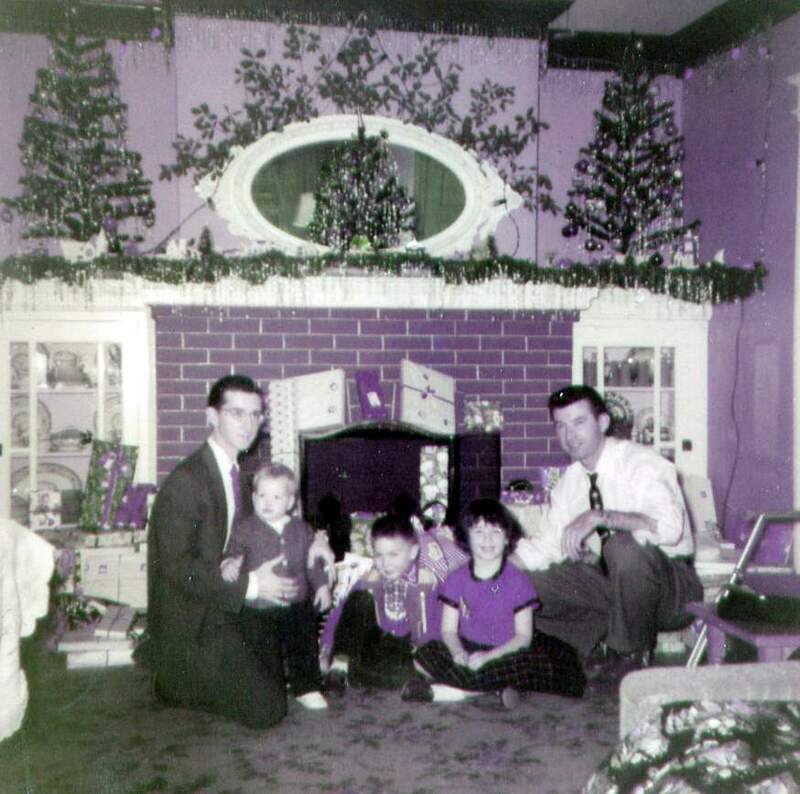 John McKenna, his wife, younger sons and daughter remained at 713 Locust Street for several more years. On December 14, 1891 John McKenna passed away. 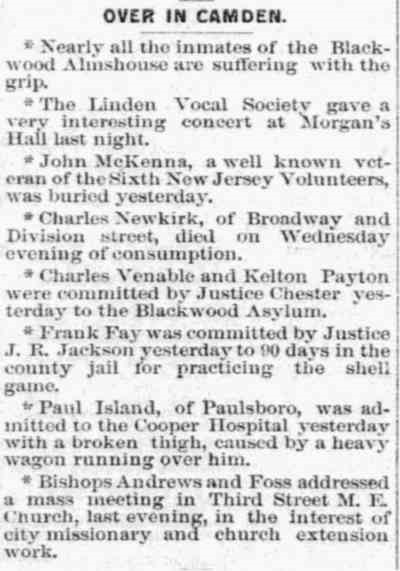 His death was noted in the Philadelphia Inquirer, where he was noted as a well-known Civil War veteran. The 1894 and 1895 City Directories shows that Thomas McKenna was making his residence at 268 Sycamore Street, while his mother, brothers, sister Mary and her family had moved to 317 Spruce Street, The 1896 Directories showed that Thomas had moved his residence to 117 Centennial Avenue, while his mother and brothers had gone to 819 Dauphin Street. 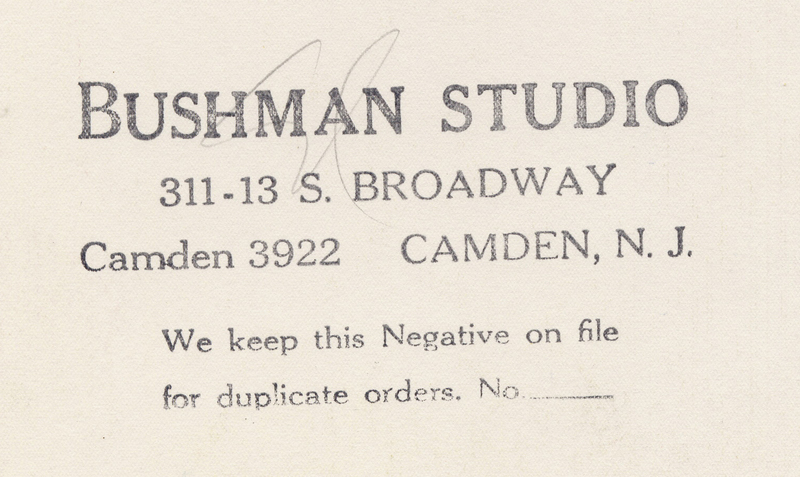 Ulysses Lanning had moved to 320 Market Street, then disappears from Camden Directories. Thomas and family remained on Centennial Avenue into 1897. That year's directory shows the McKenna brothers and their sister living above the bar at 33 North Front Street. The 1898 Directory shows all three McKenna brothers living at 209 Berkley Street. The Directory does not indicate if Thomas McKenna was in the bar business or not. By the end of 1898 Thomas McKenna was back in the liquor trade, at the corner of 17th and Federal Streets in Stockton, as evidenced by the 1899 Camden City Directory. His brothers also lived there. This venture did not survive long however. sons Thomas, 7; James, 7; John, 3; and Leo, 10 months; his brother, John F. McKenna, and his widowed sister, Mary Ann Lanning and her daughter, also named Mary Ann Lanning. Daniel McKenna was lodging at 717 South 2nd Street. The 1900 and 1901 Directories indicate that Daniel married just after the 1900 Census. The 1900 Directory has him and wife Hannah at 308 Market Street, the 1902 edition at 217 Kaighn Avenue, the 1903 edition at 264 Chestnut Street, after which time he no longer appears in Camden directories. Mary McKenna Lanning does not appear in Directories or Censuses after 1900 and may have remarried. What became of her and her daughter is not known for certain at this time. Thomas McKenna and his family, along with brother John F. McKenna, had moved to 925 St. John Street by 1901. Thomas and Catherine McKenna and their children moved to 929 St. John Street prior to the compilation of the 1902 City Directory. Thomas McKenna made his home at that address until his passing on December 2, 1910. John F. McKenna is listed at 929 St. John Street in directories through 1908. The 1909 Directory shows him living at 610 Roberts Street. Although the the 1910 Census states that, John F. McKenna married around 1902, this is in error, the actual date was more likely late 1907 or early 1908. John F. McKenna had married the former Ida Mae Powers, widow of John Risley, a merchant sailor born in England, with whom she had had two children, a son Jesse born in 1903 and a daughter Catherine in 1906. John and Ida May McKenna were blessed with a daughter, Mary Ann McKenna, on November 21, 1908. It was not, however a happy marriage. John F. McKenna liked to drink, gamble, and had some very rough ways. When the Census was taken in 1910 the McKennas had three children, Jesse, 7; Catherine "Katie" M., 4; and Mary Ann, 16 months. John F. McKenna was working as railroad freight handler. 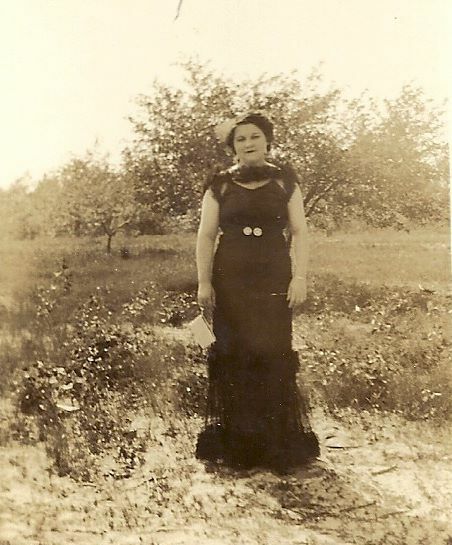 Another daughter, Ella Mildred "Mildred", was born around 1911 and a son, John was born near the end of 1915. The 1912 and 1913 City Directory shows the family at 432 Chestnut Street. 1914 saw them at 573 Division Street, and 1915 at 730 New Street. Directories from 1916 through 1920 list the family at 632 Walnut Street, John F. McKenna working on the railroad in various capacities, then found work in one of Camden's shipyards. Sadly, Ida McKenna died in 1919 or possibly in early January, 1920. She is listed in the 1920 City Directory, but she had passed away before the Census was taken on January 29, 1920, leaving five motherless children. 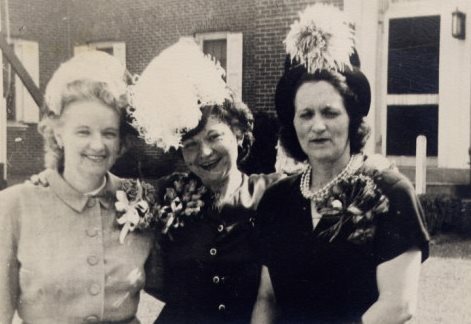 After Ida McKenna's death, her children from the previous marriage went to live elsewhere. 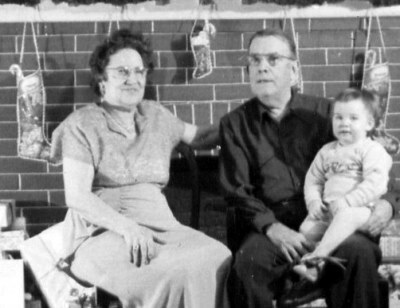 When the Census was taken, only Mary Ann, Mildred, and John were living at home. Jesse was fostered out, the 1920 Census shows him living in West Windsor, New Jersey on the farm of Emory H. Tindall. Seventeen year-old Jesse's occupation was given as servant, which speaks volumes in itself about his situation. Catherine fared little better. She was placed with Michael and Mary Riley of 326 Hunter Street in Gloucester City, where she was made to quit school and play Cinderella. Catherine Risley's Camden story ended then when her mother died and she moved into her foster home with the Riley's in Gloucester. She lived in Gloucester for most of her life working as a hairdresser. 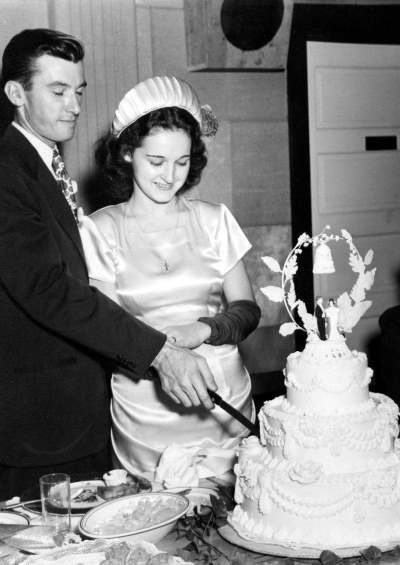 She married Frank Moran to get away from her Cinderella household, but no one ever told her he was an epileptic and she was extremely shocked when she witnessed his first seizure, she didn't know what it was. She did hair and his Mother came at the end of the day and took the proceeds. 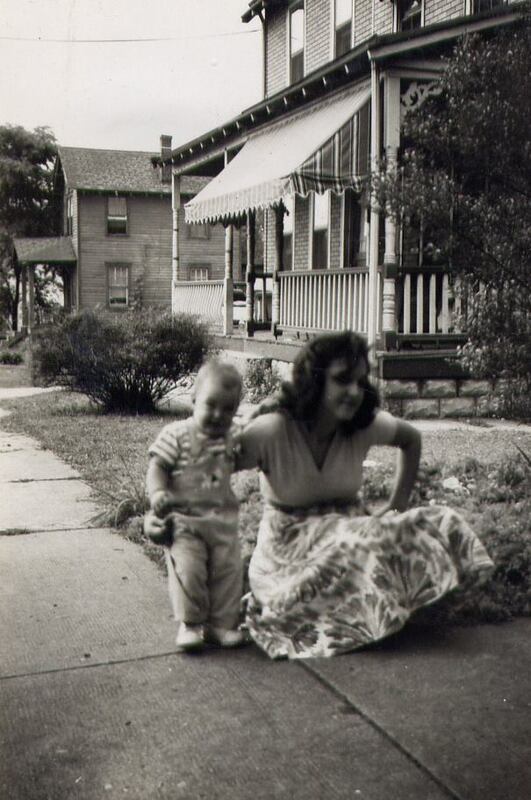 He was a real Mamma's boy. She left him when her second daughter was 3 months old. She then married Edward Maguire when her second daughter was 5 years old and he died on the same daughter's 11th birthday after having cancer for two years. Working downstairs and tending to him upstairs. Catherine had a lot of misfortunes in her life.... far too many for such a sweet and gentle woman. And she was such a beautiful woman too, and an artist, too. Catherine died April 20th, 1995. Later in life, Catherine tried to locate her brother Jesse, only to find he was deceased. Catherine used at various times the name of Risley or Riley, the family she was sent to live with in Gloucester. 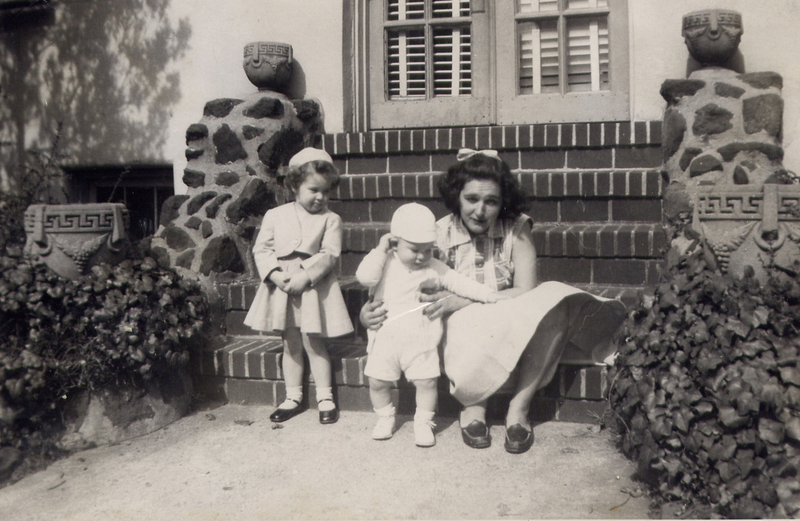 Catherine's worst memory of her childhood was of John F. McKenna beating her mother and throwing a lit kerosene lamp at her while she was holding a baby in her arms. 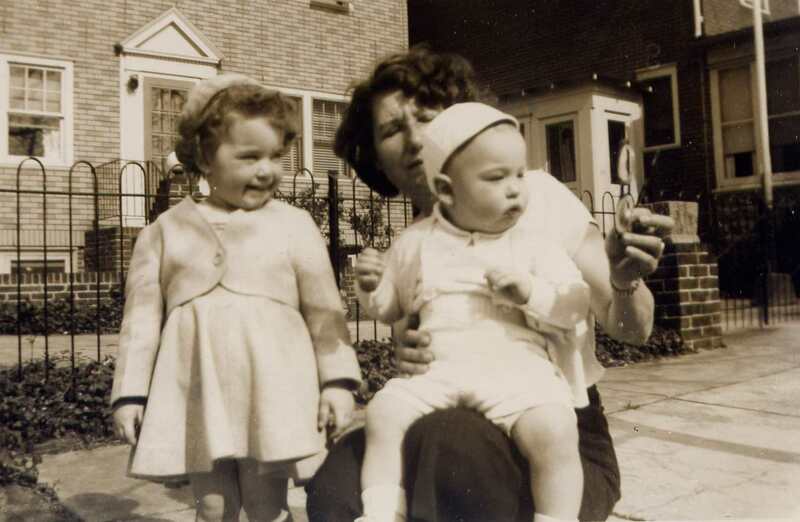 According to the Census, in late January of 1920 the three McKenna children were still living at home with their father. 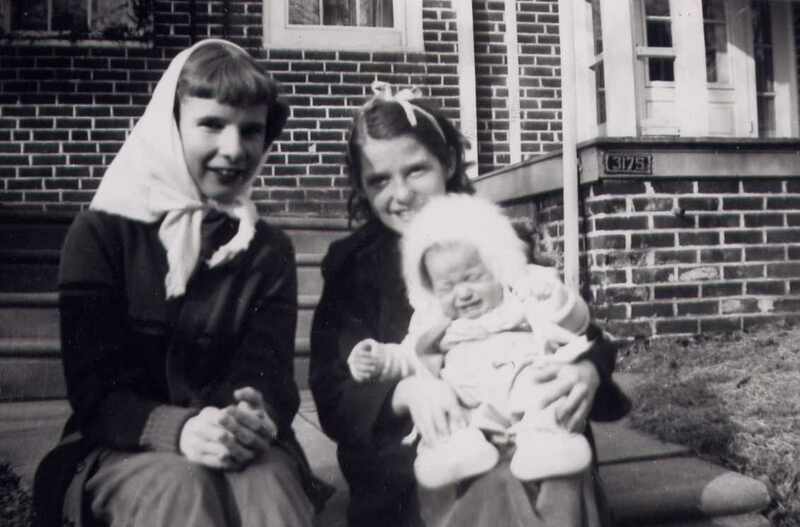 Soon thereafter, Mary Ann and Mildred would be sent to a Catholic orphanage, given a basic education and taught how to earn a living. 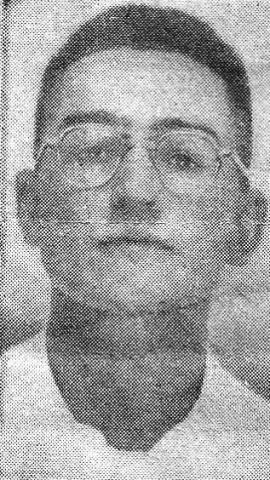 As of this writing it is unclear exactly where young John F. "Frank" McKenna Jr. immediately went, but by April of 1930 he was living with his father, on a houseboat in the Liney Ditch shanty town at the foot of Jasper Street. John F. McKenna remarried in the early 1920s. City Directories from 1926 to 1929 show him and his second wife, the former Mrs. Margaret Tubbs, at 402 Jasper Street. 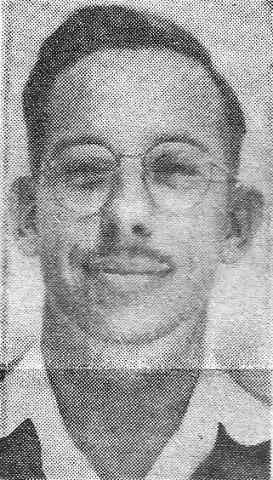 He was then working for the City of Camden's highway department The 1930 Census lists him at 10 Jasper Street, which was literally at point where Jasper Street met the Delaware River, with wife Margaret, her son John Tubbs, 14; his son from his first marriage, John F., 14; and two daughters from the then-current marriage, Margaret, 7; and Catherine, 4. What became of John F. McKenna, his wife Margaret, John F. "Frank" McKenna Jr., and daughters Margaret and Catherine is a matter of conjecture, although there are indications that they may have gone to Gloucester City. 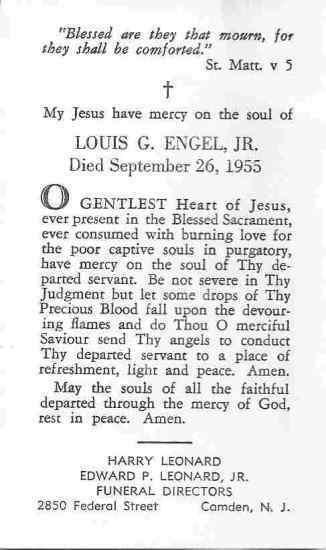 His granddaughter, Jane Engel, remembers going to his viewing when she was around 15 so that would make his passing around 1945. Mary Ann McKenna married Louis George "George" Engel of 827 South 10th Street shortly before the 1926 Directory was compiled. Directories show George and his wife Mary living with his parents as late as 1927. 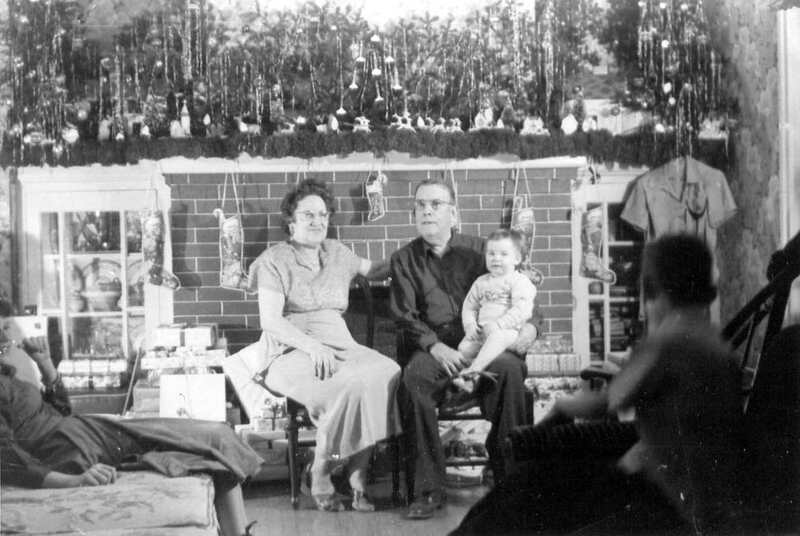 1928 brought George and Mary a son, Louis George Engel Jr., and a move to a house of their own at 1825 South 10th Street. 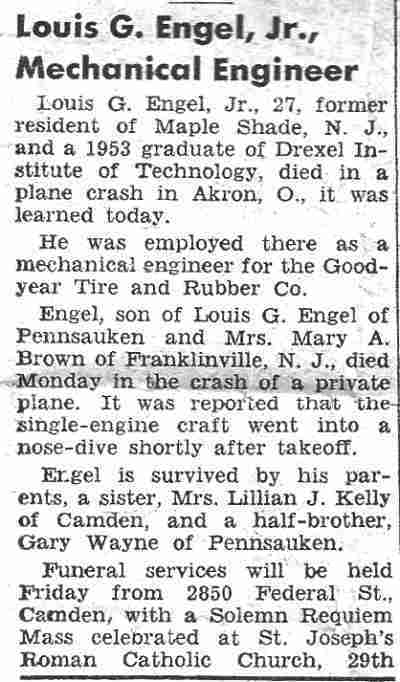 George's older brother, Julius Engel Jr., who had gone with his wife to live in Buffalo, New York in 1919, had returned to Camden unmarried and also lived at 1825 South 10th in 1928. Julius Jr. married Mary Ann's sister, Ella Mildred McKenna on July 13 of that year. George and Mary Engel were blessed with a daughter, Lillian Jane Engel, shortly before the April 1930 Federal Census. 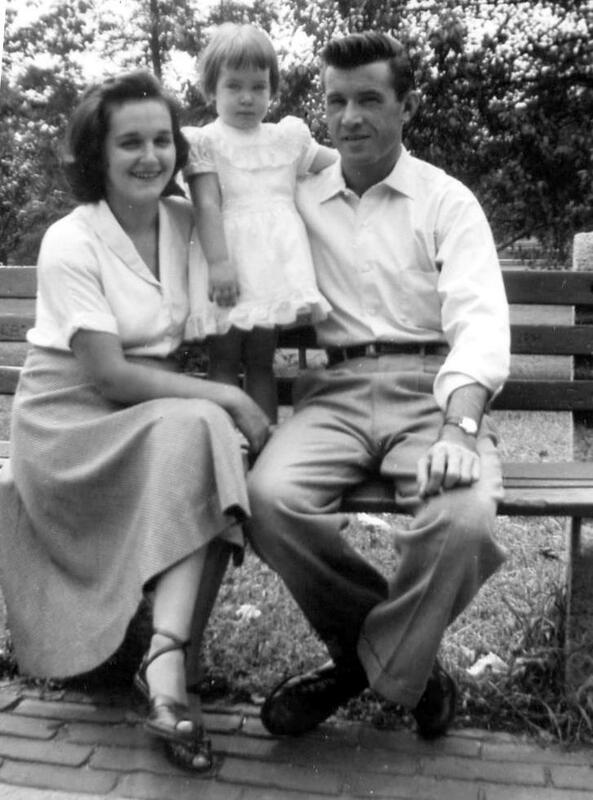 Julius and Mildred Engel had a son, Julius Engel III, on October 7, 1930. A daughter, Ellen, would follow. During the 1930s the Julius and Mildred Engel family moved out of Camden. George Engel was working as a foreman at the Camden Pottery Company factory at Chestnut and Orchard Street as early as 1926 and was still there into the 1940s. 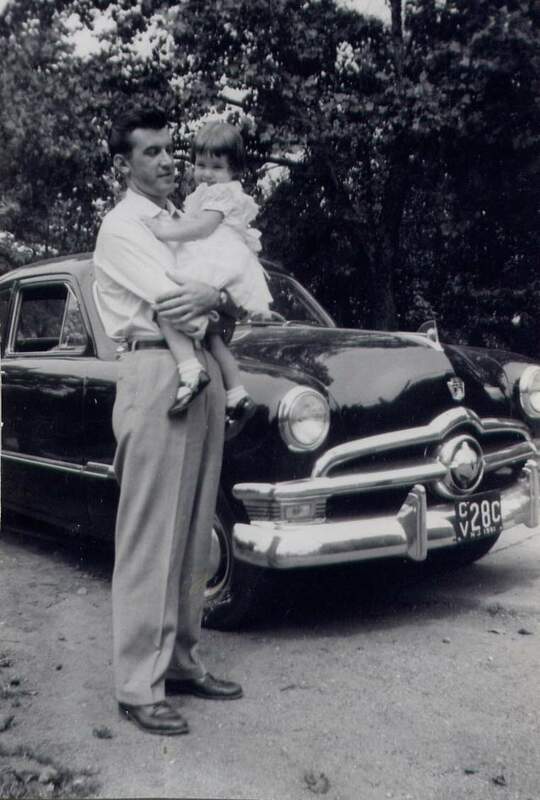 In the early 1930s he moved his family to Erial, New Jersey, and made the commute into Camden. Unfortunately George and Mary's marriage fell apart during the 1930s. Mary McKenna Engel left her husband and children in the country in Erial to go back to the Camden-Philadelphia area where she found work in the garment industry. 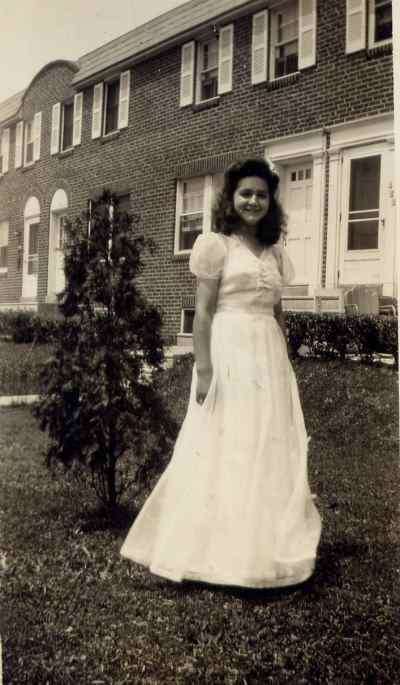 She was lodging on Sheridan Street in Camden when the 1940 Census was taken, and met and eventually married a Philadelphian, Carl Brown, who in time established a dress manufacturing business. Mary, a skilled seamstress, after working at different aspects of her craft in various companies, finally settled in as a sewing machine operator for Gastwirth Brothers in Philadelphia, who made children's coats, and stayed there until the end of her working days. She became the United Garment Workers' union representative in that factory. In addition to her hard factory work, on weekends, she was back on her own sewing machine at home, making beautiful clothes in the latest fashions for herself, her daughter , her grandchildren and friends. More than one of them walked down the aisle in one of Mary's lovely creations. When the Census was taken in 1940, Mildred and Julius Engel Jr. and their son were living in Bellmawr, New Jersey. They had gone to Mount Ephraim by April of 1942. 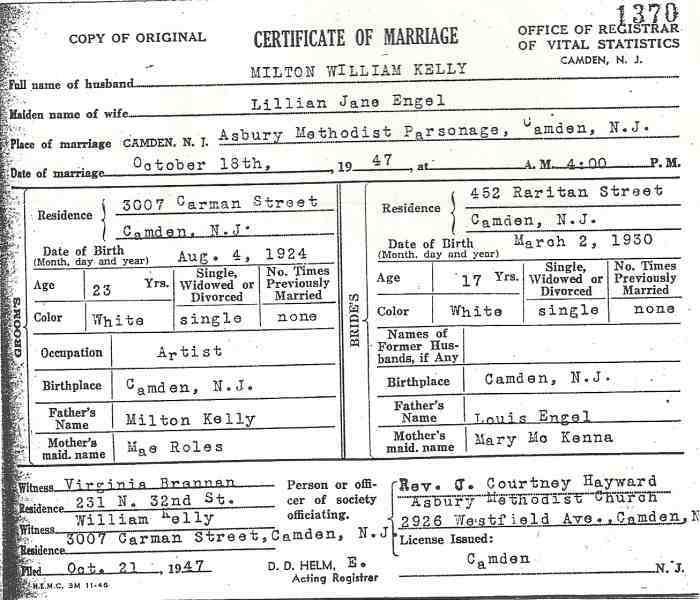 Shortly after the 1943 Camden City Directory was compiled, Mary McKenna Engel and her new husband Carl Brown moved to a newly built home at 452 Raritan Street in East Camden. 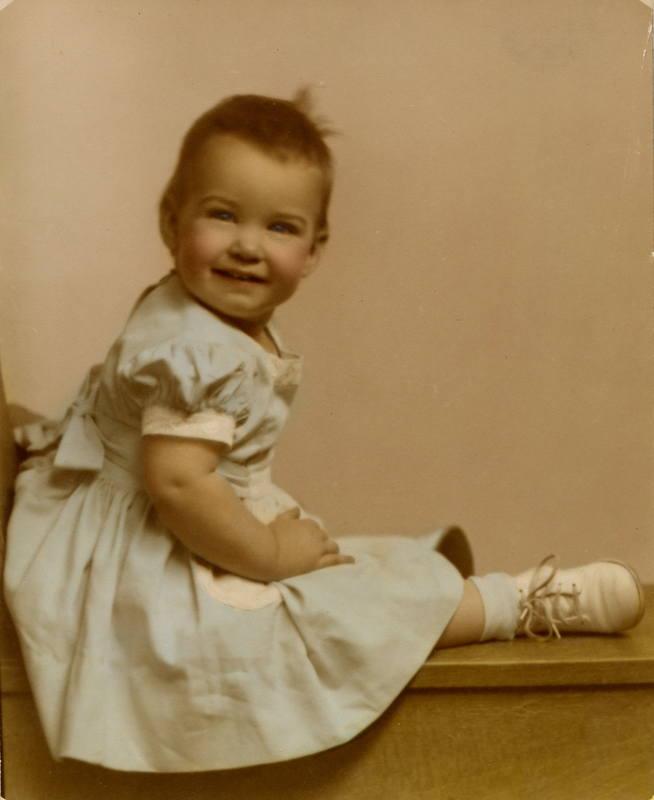 Her daughter, Lillian J. "Jane" Engel, who had lived with her father George for some time in Erial, came to live there after graduating from junior high school in Blackwood. She attended and graduated in 1947 from Woodrow Wilson High School on Federal Street in Camden, where she became friends with Dorothy Brown (no relation to Carl), who lived on Carman Street in East Camden. 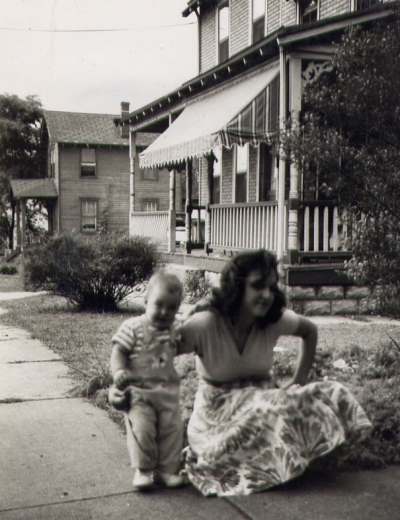 Dorothy introduced her to a neighbor, Milton W. Kelly, of 3007 Carman Street. Milton was a combat veteran of World War II who had spent five months in a German POW camp. 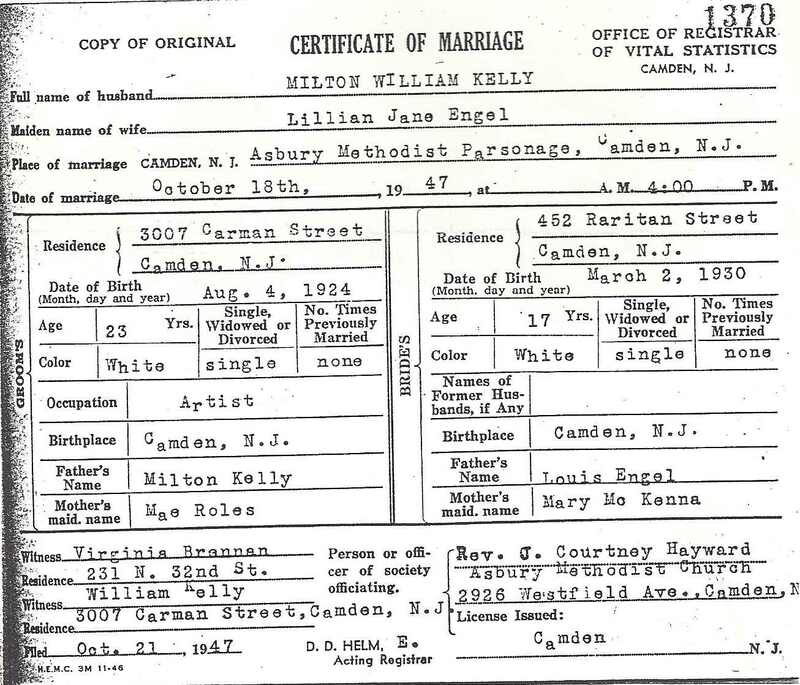 On October 18, 1947 Jane and Milton were married at Asbury Methodist Church on Westfield Avenue in Camden. Milton's grandparents, William and Eva Roles, owned the Roles Court Apartments on North 34th Street above Rosedale Avenue. The Kelly's were living there in 1949 when daughter Carol was born. A son, Brian, came along not long afterwards. Sadly the young couple separated and Jane with her young children then moved to the Westfield Acres public housing project. During that time she worked at RCA Victor in what was then Delaware Township (present-day Cherry Hill), New Jersey. 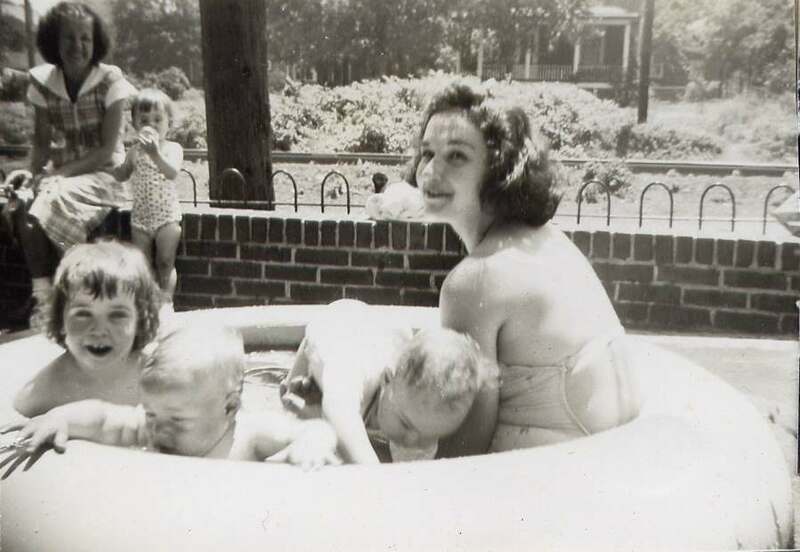 They left the city in the mid-1950s for Pennsauken when Jane remarried. She had met her new husband, William James Stiefel III of Cramer Hill while both were attending Woodrow Wilson High School. 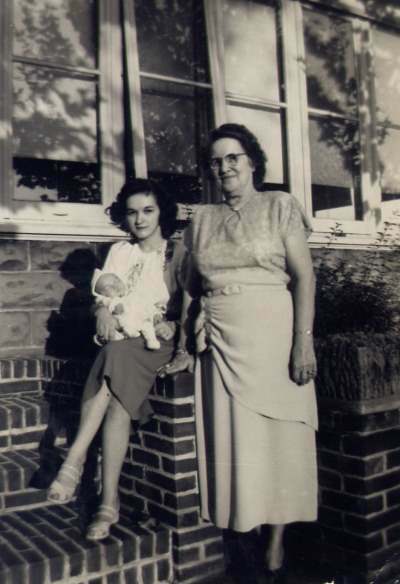 Jane's mother Mary and her husband Carl Brown, had moved to Franklinville, New Jersey by 1954 but were still commuting every working day into Philadelphia. 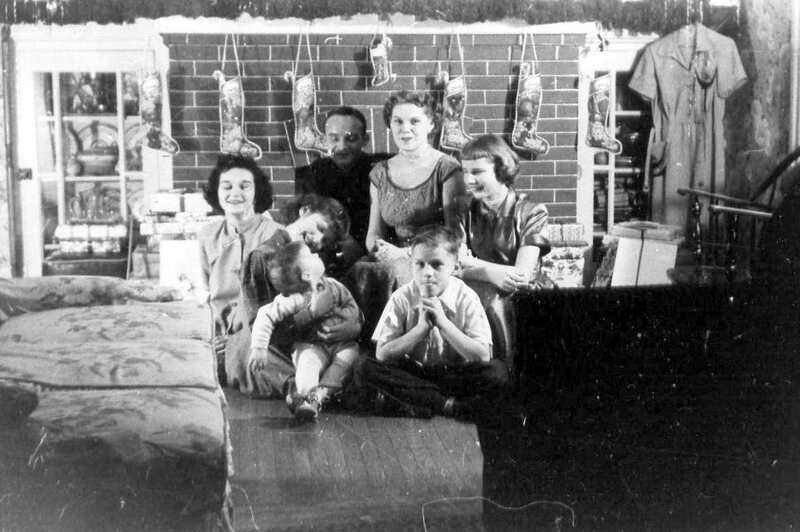 In their later years they moved to Philadelphia to live in the Parkway House, Philadelphia's first high rise apartment building near the Philadelphia Art Museum. Carl Brown died in Philadelphia in April of 1977. In the last ailing year of her life, when she could no longer live on her own, Mary A. McKenna Brown left Philadelphia and went to live in Kalamazoo, Michigan, close to her daughter Jane who could take better care of her there, and there she died, August 6, of 1986. In the mid-1940s George and Frank Engel had returned to Camden and had gone into the bar business. The bar they owned, Engel's Cafe, was at 3209 River Avenue. Frank Engel and his family, lived above the bar, as did George Engel and his son Louis. 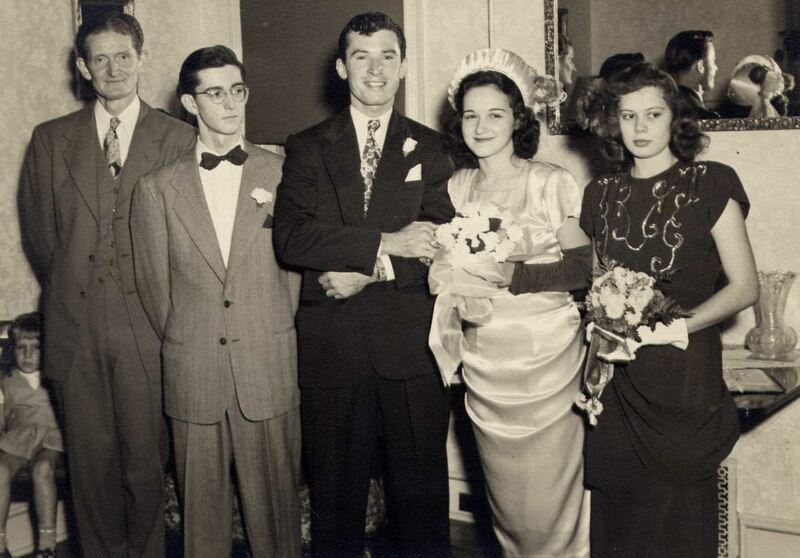 Louis graduated from Woodrow Wilson High School in 1946 and went on to graduate from Drexel Institute of Technology (present-day Drexel University). "He was working out in Ohio. 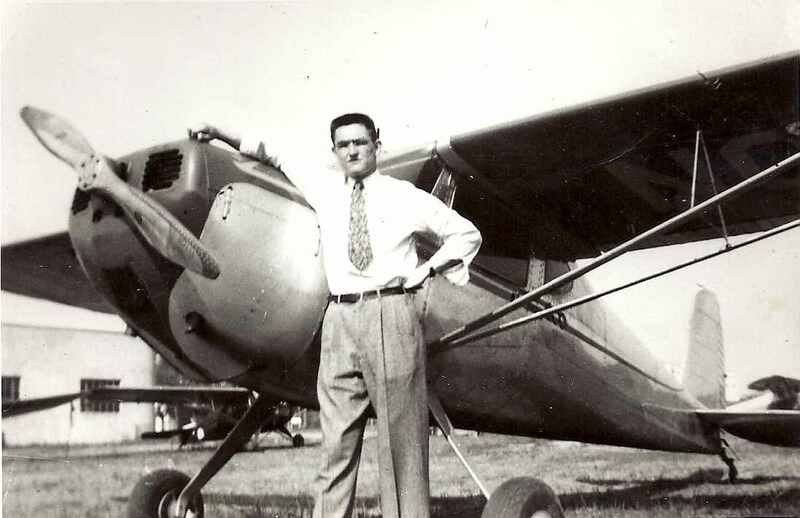 From the time he was a little kid, he had had a passion for airplanes. He wanted to make a living building and selling them. 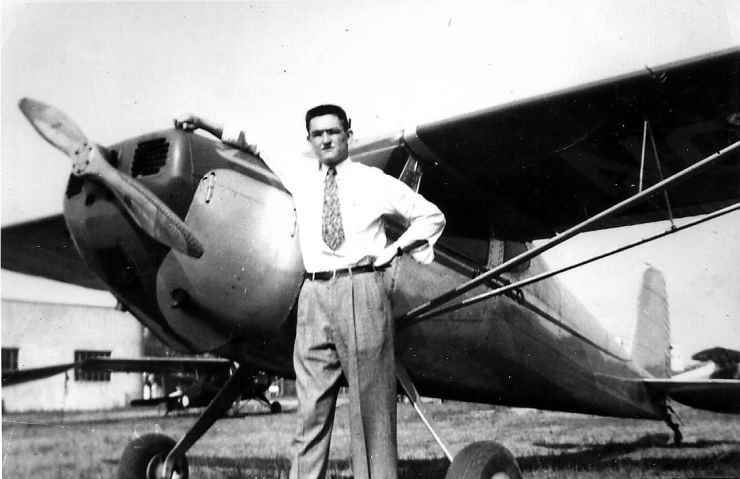 In a team of three engineers, he built his own plane and after many hours of successful flying time in it, the big day came to fly before the government inspectors. To the shock of onlookers, he and his copilot crashed. Debris of the plane was spread far and wide. 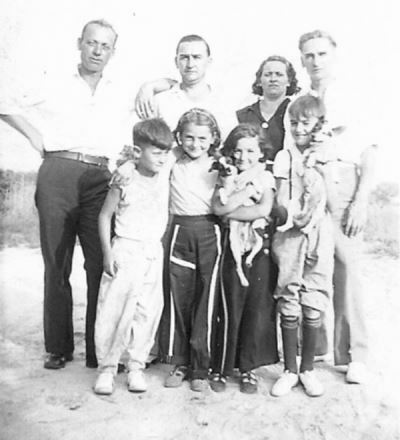 We were living at Westfield acres at the time, it was the fall of 1954." Mildred and Julius Engel Jr. never returned to Camden, but they did go into the bar business. 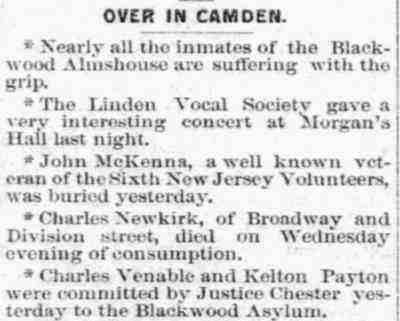 They had a bar around Clementon, New Jersey which they ran with their son Julius Engel III, who was known to have a beautiful voice and sing for the clients. Julius III also served in the Korean War. The Engels were still living in Bellmawr as late as 1959. By 1973 they had moved to Stratford, New Jersey. 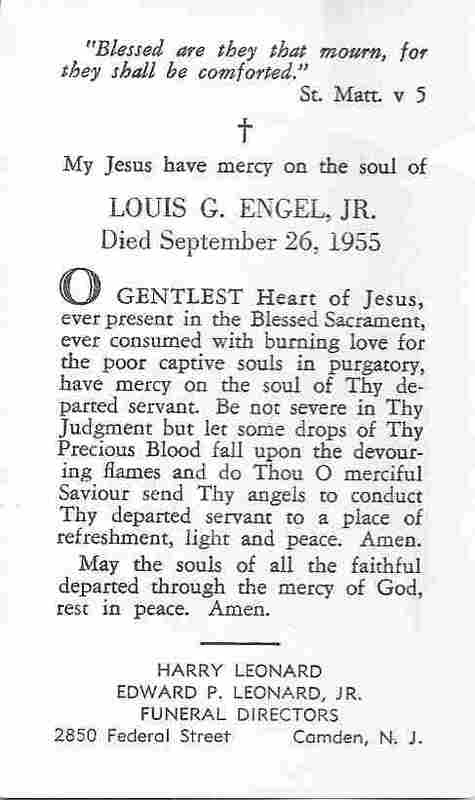 Sadly, Julius Engel III passed away on April 29, 1973. Julius Jr. died on February 27, 1974. Mildred later left New Jersey to live with her daughter Ellen in Florida, where she passed away in 1996. 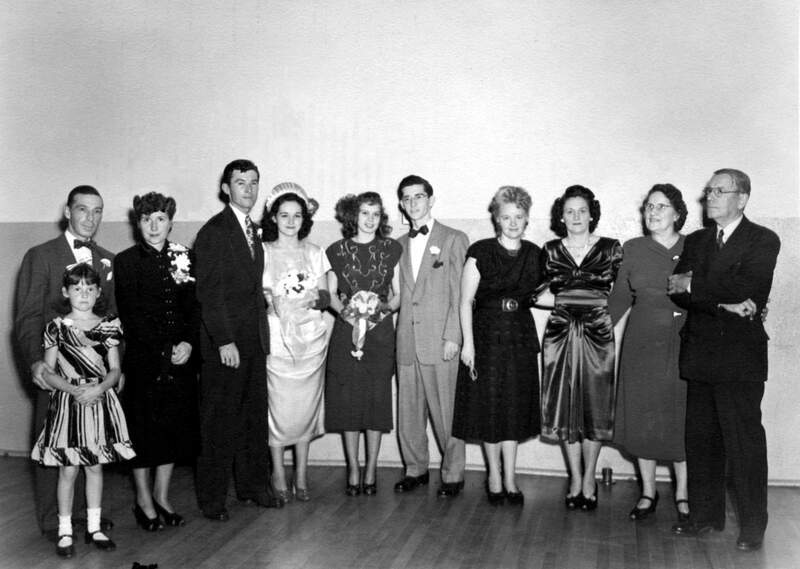 Top: Unknown Neighbor, Julius Engel Jr., Mildred Engel, L. George Engel Sr.
Lillian Jane "Jane" Engel - Louis G. Engel Jr.
Bottom row: Doreen Kelly holding Carol Kelly - Richard Reeves.